Mark has had a love for cars and trucks since he was a kid and has always known he'd like to work in the repair industry. He began working as a technician while still in high school and advanced his skills at Sequoia Institute. 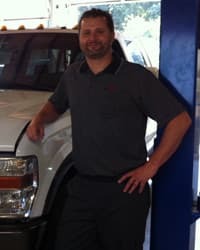 Over the past 16 years, Mark has worked at full-service auto repair shops as both technician and service writer and has a broad knowledge of both foreign and domestic automobiles. His expertise and interest includes, but is not limited to, performance diagnostics and electrical repairs. 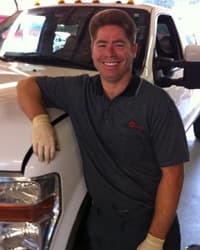 Jason is a Walnut Creek native with over a decade of car repair experience. After graduating from Las Lomas High School, he trained at Sequoia Institute. For most of his career Jason has been working on Ford cars and trucks and has extensive knowledge of fleet management and repair. While employed at local Ford dealerships he trained and mastered warranty and factory repair and made high performance modifications to all Ford power strokes. Jason most recently trained and qualified to become a Ford Diesel Engine master. 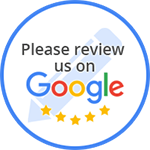 We Pride Ourselves In Our Knowledge Ford, Chevy and Dodge / RAM Diesel Truck Repair And Maintenance To Get You Back On The Road.